OBJECTIVE To determine the effectiveness of metronomic cyclophosphamide (MC) chemotherapy (primary treatment of interest) with adjuvant meloxicam administration as maintenance treatment for dogs with appendicular osteosarcoma following limb amputation and carboplatin chemotherapy. CONCLUSIONS AND CLINICAL RELEVANCE Maintenance MC chemotherapy following limb amputation and completed carboplatin chemotherapy was associated with no increase in PFT or OST in dogs with appendicular osteosarcoma. Cystitis was common in MC-treated dogs, and prophylactic treatment such as furosemide administration could be considered to reduce the incidence of cystitis in such dogs. , higher cumulative dose and longer treatment duration increased the risk of SHC development with this every other day LDM CYC protocol. Close monitoring and/or prophylactic treatments should be considered for patients receiving LDM CYC over a long period. Low-dose cyclophosphamide seems to be a well-tolerated option for cats bearing primary or metastatic tumours. Evaluation of toxicity after long-term administration is still needed. Evaluating a new contrast delivery service in dogs with lung tumors. As part of this study, your dog will receive the same diagnostic tests and care that any other dog with lung tumors presented to the UC Davis VMTH would receive. 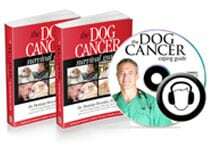 If you agree to enroll your dog in the trial, your dog will be randomly assigned to a particular device which will be used to inject dye into the lung tumor; additionally, your dog will undergo a contrast CT scan while under anesthesia. After the CT scan, your dog will be taken to surgery as per standard of care for lung tumors.